Alternative Title(s) Marry Me, Mary! Mary (Moon Geun-Young) is a young woman with the energy of the sun. She looks like her late mother, but her hot temper comes straight from her deadbeat father. Her father always makes troubles as a failed businessman, but Mary also loves him the most. Because Mary can't afford to pay her college tuition fees, she temporarily stops attending school. Without having any special skills, Mary starts to work odd jobs. One day, Mary's father proposes that Mary marries a man named Jung-In (Kim Jae-Wook) to pay off their debts. When Mary hears of her father's plan she devise her own plan. Mary takes fake wedding pictures with her new friend Mu-Gyul (Jang Geun-Suk), whom she has just met over the last couple of days. She sends the pictures to her father's cellphone with the message that this is the man she loves and will marry. Unfortunately for Mary, her deadbeat father has already registered a marriage certificate on her behalf with Jung-In! 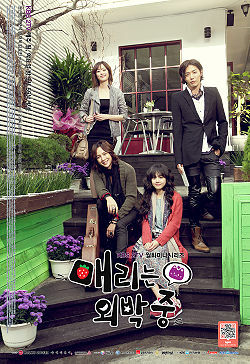 Jung-In then proposes that Marry spend 100 days of marriage with both men and decide whom she wants to live with.